The following is the text of the new Table A effective from 1st October 2007 for companies incorporated on or after this date, until 30th September 2009. For companies incorporated before this date the old Table A is still applicable. (As prescribed by the Companies (Tables A to F) Regulations 1985 as amended by the Companies (Tables A to F) (Amendment) Regulations 1985), the Companies Act 1985 (Electronic Communications) Order 2000, the Companies (Tables A to F) (Amendment) Regulations 2007 and the Companies (Tables A to F) (Amendment) (No. 2) Regulations 2007. 8. The company shall have a first and paramount lien on every share (not being a fully paid share) for all moneys (whether presently payable or not) payable at a fixed time or called in respect of that share. The directors may at any time declare any share to be wholly or in part exempt from the provisions of this regulation. 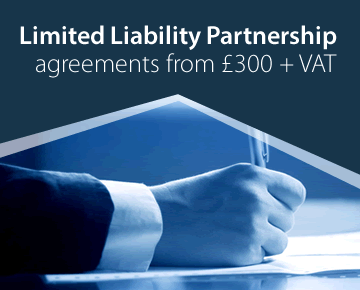 The company&apos;s lien on a share shall extend to any amount payable in respect of it. 12. Subject to the terms of allotment, the directors may make calls upon the members in respect of any moneys unpaid on their shares (whether in respect of nominal value or premium) and each member shall (subject to receiving at least fourteen clear days&apos; notice specifying when and where payment is to be made) pay to the company as required by the notice the amount called on his shares. A call may be required to be paid by instalments. A call may, before receipt by the company of any sum due thereunder, be revoked in whole or in part and payment of a call may be postponed in whole or part. A person upon whom a call is made shall remain liable for calls made upon him notwithstanding the subsequent transfer of the shares in respect whereof the call was made. 15. If a call remains unpaid after it becomes due and payable the person from whom it is due and payable shall pay interest on the amount unpaid from the day it became due and payable until it is paid at the rate fixed by the terms of allotment of the share or in the notice of the call or, if no rate is fixed, at the appropriate rate (as defined by the Act) but the directors may waive payment of the interest wholly or in part. 18. If a call remains after it has become due and payable the directors may give to the person from whom it is due not less than fourteen clear days&apos; notice requiring payment of the amount unpaid together with any interest which may have accrued. The notice shall name the place where payment is to be made and shall state that if the notice is not complied with the share sin respect of which the call was made will be liable to be forfeited. 30. A person becoming entitled to a share in consequence of the death or bankruptcy of a member may, upon such evidence being produced as the directors may properly require, elect either to become the holder of the share or to have some person nominated by him registered as the transferee. If he elects to become the holder he shall give notice to the company to that effect. If he elects to have another person registered he shall execute an instrument of transfer of the share to that person. 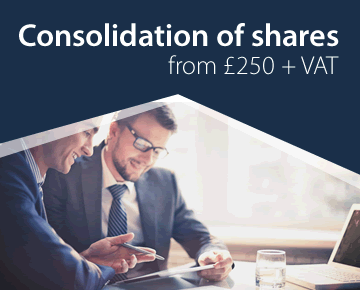 All the articles relating to the transfer of shares shall apply to the notice or instrument of transfer as if it were an instrument of transfer executed by the member and the death or bankruptcy of the member had not occurred. 45. The chairman may, with the consent of a meeting at which a quorum is present (and shall if so directed by the meeting), adjourn the meeting from time to time and from place to place, but no business shall be transacted at an adjourned meeting other than business which might properly have been transacted at the meeting had the adjournment not taken place. When a meeting is adjourned for fourteen days or more, at least seven clear days&apos; notice shall be given specifying the time and place of the adjourned meeting and the general nature of the business to be transacted. Otherwise it shall not be necessary to give any such notice. 52. No notice need be given of a poll not taken forthwith if the time and place at which it is to be taken are announced at the meeting at which it is demanded. in any other case at least seven clear days&apos; notice shall be given specifying the time and place at which the poll is to be taken. (b) not less than fourteen not more than thirty-five clear days before the date appointed for the meeting, notice executed by a member qualified to vote at the meeting has been given to the company of the intention to propose that person for appointment or re-appointment stating the particulars which would, if he were so appointed or re-appointed, be required to be included in the company&apos;s register of directors together with notice executed by that person of his willingness to be appointed or reappointed. 77. Not less than seven nor more than twenty-eight clear days before the date appointed for holding a general meeting notice shall be given to all who are entitled to receive notice of the meeting of any person who is recommended by the directors for appointment or reappointment as a director at the meeting or in respect of whom notice has been duly given to the company of the intention to propose him at the meeting for appointment or reappointment as a director. The notice shall give the particulars of that person which would, if he were so appointed or reappointed, be required to be included in the company&apos;s register of directors. 115. Proof that an envelope containing a notice was properly addressed, prepaid and posted shall be conclusive evidence that the notice was given. Proof that a notice contained in an electronic communication was sent in accordance with guidance issued by the Institute of Chartered Secretaries and Administrators shall be conclusive evidence that the notice was given. A notice shall, unless the contrary is proved, be deemed to be given at the expiration of forty-eight hours after the envelope containing it was posted or, in the case of a notice contained in an electronic communication, at the expiration of 48 hours after the time it was sent. The following is the text of Table A with effect from 23rd. December 2000, as amended by the Companies Act 1985 (Electronic Communications) Order 2000. The wording of the version of Table A that was operative before the 2000 version came into effect follows immediately after the current text. (As prescribed by the Companies (Tables A to F) Regulations 1985 as amended by the Companies (Tables A to F) (Amendment) Regulations 1985) and the Companies Act 1985 (Electronic Communications) Order 2000. "the Act" means the Companies Act 1985 including any statutory modification or re-enactment thereof for the time being in force. 36. All general meetings other than annual general meetings shall be called extraordinary general meetings. 37. The directors may call general meetings and, on the requisition of members pursuant to the provisions of the Act, shall forthwith proceed to convene an extraordinary general meeting for a date not later than eight weeks after receipt of the requisition. If there are not within the United Kingdom sufficient directors to call a general meeting, any director or any member of the company may call a general meeting. 40. No business shall be transacted at any meeting unless a quorum is present. Two persons entitled to vote upon the business to be transacted, each being a member or a proxy for a member or a duly authorised representative of a corporation, shall be a quorum. 50. In the case of an equality of votes, whether on a show of hands or on a poll, the chairman shall be entitled to a casting vote in addition to any other vote he may have. 53. A resolution in writing executed by or on behalf of each member who would have been entitled to vote upon it if it had been proposed at a general meeting at which he was present shall be as effectual as if it had been passed at a general meeting duly convened and held and may consist of several instruments in the like form each executed by or on behalf of one or more members. 73. At the first annual general meeting all the directors shall retire from office, and at every subsequent annual general meeting one-third of the directors who are subject to retirement by rotation or, if their number is not three or a multiple of three, the nearest to one-third shall retire from office; but, if there is only one director who is subject to retirement by rotation, he shall retire. 74. Subject to the provisions of the Act the directors to retire by rotation shall be those who have been longest in office since their last appointment or reappointment, but as between persons who became or were last reappointed directors on the same day those to retire shall (unless they otherwise agree among themselves) be determined by lot. 75. If the company, at the meeting at which a director retires by rotation, does not fill the vacancy the retiring director shall, if willing to act, be deemed to have been reappointed unless at the meeting it is resolved not to fill the vacancy or unless a resolution for the reappointment of the director is put to the meeting and lost. 77. Not less than seven nor more than twenty-eight clear days before the date appointed for holding a general meeting notice shall be given to all who are entitled to receive notice of the meeting of any person (other than a director retiring by rotation at the meeting) who is recommended by the directors for appointment or reappointment as a director at the meeting or in respect of whom notice has been duly given to the company of the intention to propose him at the meeting for appointment or reappointment as a director. The notice shall give the particulars of that person which would, if he were so appointed or reappointed, be required to be included in the company&apos;s register of directors. 78. Subject as aforesaid, the company may by ordinary resolution appoint a person who is willing to act to be a director either to fill a vacancy or as an additional director and may also determine the rotation in which any additional directors are to retire. 79. 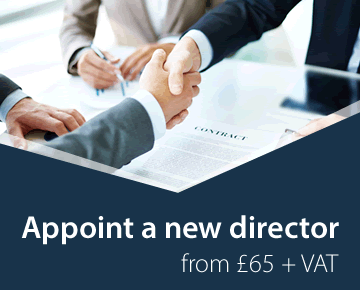 The directors may appoint a person who is willing to act to be a director, either to fill a vacancy or or as an additional director, provided that the appointment does not cause the number of directors to exceed any number fixed by or in accordance with the articles as the maximum number of directors. A director so appointed shall hold office only until the next following annual general meeting and shall not be taken into account in determining the directors who are to retire by rotation at the meeting. If not reappointed at such annual general meeting, he shall vacate office at the conclusion thereof. 80. Subject as aforesaid, a director who retires at an annual general meeting may, if willing to act, be reappointed. If he is not reappointed, he shall retain office until the meeting appoints someone in his place, or if it does not do so, until the end of the meeting. 87. The directors may provide benefits, whether by the payment of gratuities or pensions or by insurance or otherwise, for any director whom has held but no longer holds any executive office or employment with the company or with any body corporate which is or has been a subsidiary of the company or a predecessor in business of the company or of any such subsidiary, and for any member of his family (including a spouse and a former spouse) or any person who is or was dependent on him, and may (as well before as after he ceases to hold such office or employment) contribute to any fund and pay premiums for the purchase or provision of any such benefit. 91. The directors may appoint one of their number to be the chairman of the board of directors and may at any time remove him from that office. Unless he is unwilling to do so, the director so appointed shall preside at ever meeting of directors at which he is present. But if there is no director holding that office, or if the director holding it is unwilling to preside or is not present within five minutes after the time appointed for the meeting, the directors present may appoint one of their number to be chairman of the meeting. 113. A member present, either in person or by proxy, at any meeting of the company or of the holders of any class of shares in the the company shall be deemed to have received notice of the meeting and, where requisite, of the purposes for which it was called. 115. Proof that an envelope containing a notice was properly addressed, prepaid and posted shall be conclusive evidence that the notice was given. Proof that a notice contained in an electronic communication was sent in accordance with guidance issued by the Institute of Chartered Secretaries and Administrators shall be conclusive evidence that the notice was given. A notice shall, unless the contrary is proved, be deemed to be given at the expiration of forty-eight hours after the envelope containing it was posted or, in the case of a notice contained in an electronic communication, at the expiration of 48 hours after the time it was sent.116. A notice may be given by the company to the persons entitled to a share in consequence of the death or bankruptcy of a member by sending or delivering it, in any manner authorised by the articles for the giving of notice to a member, addressed to them by name, or by the title of representatives of the deceased, or trustees of the bankrupt or by any like description at the address, if any, within the United Kingdom supplied for that purpose by the persons claiming to be so entitled. Until such an address has been supplied, a notice may be given in any manner in which it might have been given if the death or bankruptcy had not occurred. 117. If the company is wound up, the liquidator may, with the sanction of an extraordinary resolution of the company and any other sanction required by the Act, divide among the members in specie the whole or any part of the assets of the company and may, for that purpose, value any assets and determine how the division shall be carried out as between the members or different classes of members. The liquidator may, with the like sanction, vest the whole or any part of the assets in trustees upon such trusts for the benefit of the members as he with the like sanction determines, but no member shall be compelled to accept any assets upon which there is a liability. 5. Except as required by law, no person shall be recognized by the company as holding any share upon any trust and (except as otherwise provided by the articles or by law) the company shall not be bound by or recognize any interest in any share except an absolute right to the entirety thereof in the holder. 13. A call shall be deemed to have been made at the time when the resolution of the directors authorizing the call was made. 29. If a member dies the survivor or survivors where he was a joint holder, and his personal representatives where he was a sole holder or the only survivor of joint holders, shall be the only persons recognized by the company as having any title to his interest; but nothing herein contained shall release the estate of a deceased member from any liability in respect of any share which had been jointly held by him. 43. If no director is willing to act as chairman, or if no director is present within fifteen minutes after the time appointed for holding the meeting, the members present and entitled to vote shall choose one of their number to be chairman. (d) by a member or members holding shares conferring a right to vote at the meeting being shares on which an aggregate sum has been paid up equal to not less than one-tenth of the total sum paid up on all the shares conferring that right; and a demand by a person as proxy for a member shall be the same as a demand by the member. (c) where the poll is not taken forthwith but is taken not more than forty-eight hours after it was demanded, be delivered at the meeting at which the poll was demanded to the chairman or to the secretary or to any director; and an instrument of proxy which is not deposited or delivered in a manner so permitted shall be invalid. 63. A vote given or poll demanded by proxy or by the duly authorised representative of a corporation shall be valid notwithstanding the previous determination of the authority of the person voting or demanding a poll unless notice of the determination was received by the company at the office or at such other place at which the instrument of proxy was duly deposited before the commencement of the meeting or adjourned meeting at which the vote is given or the poll demanded or (in the case of a poll taken otherwise than on the same day as the meeting or adjourned meeting) the time appointed for taking the poll. 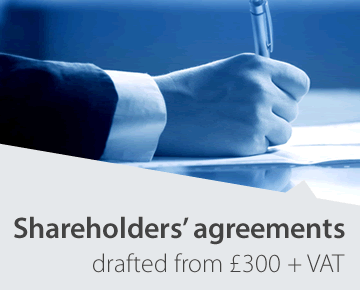 (d) authorise any person to enter on behalf of all the members concerned into an agreement with the company providing for the allotment to them respectively, credited as fully paid, of any shares or debentures to which they are entitled upon such capitalization, any agreement made under such authority being binding on all such members. 111. Any notice to be given to or by any person pursuant to the articles shall be in writing except that a notice calling a meeting of the directors need not be in writing. 112. The company may give any notice to a member either personally or by sending it by post in a prepaid envelope addressed to the member at his registered address or by leaving it at that address. In the case of joint holders of a share, all notices shall be given to the joint holder whose name stands first in the register of members in respect of the joint holding and notice so given shall be sufficient notice to all the joint holders. A member whose registered address is not within the United Kingdom and who gives to the company an address within the United Kingdom at which notices may be given to him shall be entitled to have notices given to him at that address, but otherwise no such member shall be entitled to receive any notice from the company. 115. Proof that an envelope containing a notice was properly addressed, prepaid and posted shall be conclusive evidence that the notice was given. A notice shall, unless the contrary is proved, be deemed to be given at the expiration of forty-eight hours after the envelope containing it was posted. 118. Subject to the provisions of the Act but without prejudice to any indemnity to which a director may otherwise be entitled, every director or other officer or auditor of the company shall be indemnified out of the assets of the company against any liability incurred by him in defending any proceedings, whether civil or criminal, in which judgement is given in his favour or in which he is acquitted or in connection with any application in which relief is granted to him by the court from liability for negligence, default, breach of duty or breach of trust in relation to the affairs of the company.